William E. Runyan is a retired musicologist with a lifetime of experience as a writer, teacher, conductor, and performer. He holds the MA and PhD degrees in Musicology from the Eastman School of Music of the University of Rochester. 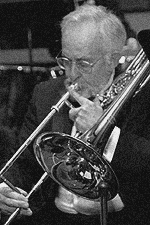 In addition to his experience as a conductor of symphony, ballet, opera, and wind ensemble, he has spent over forty years as an active orchestral trombonist. He has published articles on orchestration, edited historical editions of music, and been honored as an author of the most significant annual article on opera by the National Opera Association. Recently, he delivered the Fall Convocation annual keynote address to the students and faculty of the Eastman School of Music. He has been the program annotator for three symphony orchestras, including the Colorado Symphony. Runyan's program notes are consistently praised for their witty and engaging style, balancing a professional's knowledge and insight with an eye to accessibility by lay audiences.